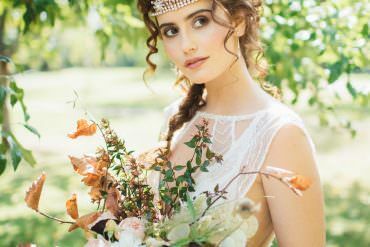 We’re upping the pretty stakes this fine Sunday, with a sublime editorial shoot jammed packed with perfectly pretty wedding ideas and inspiration. 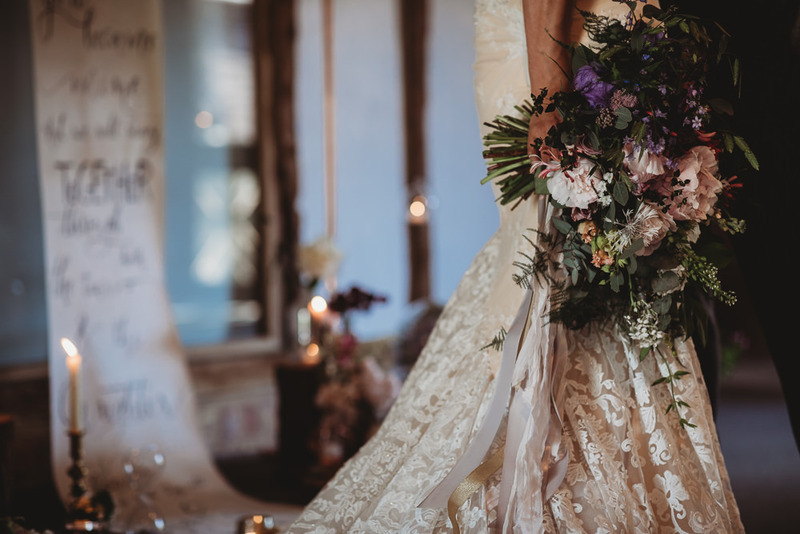 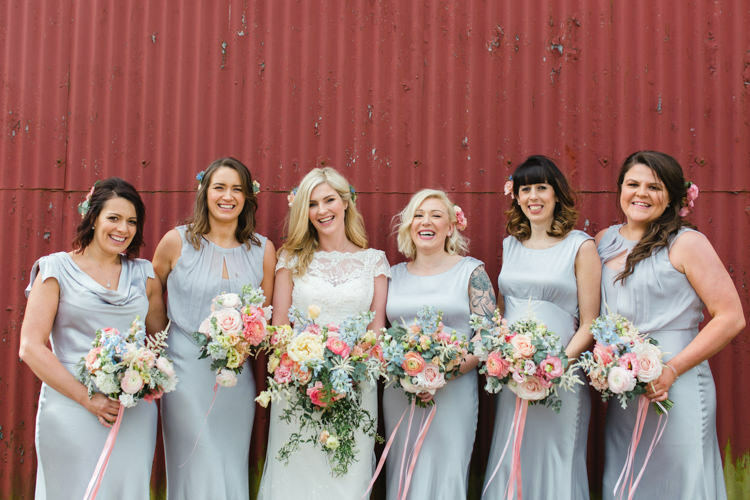 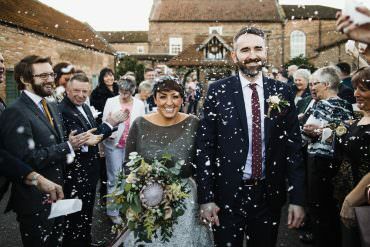 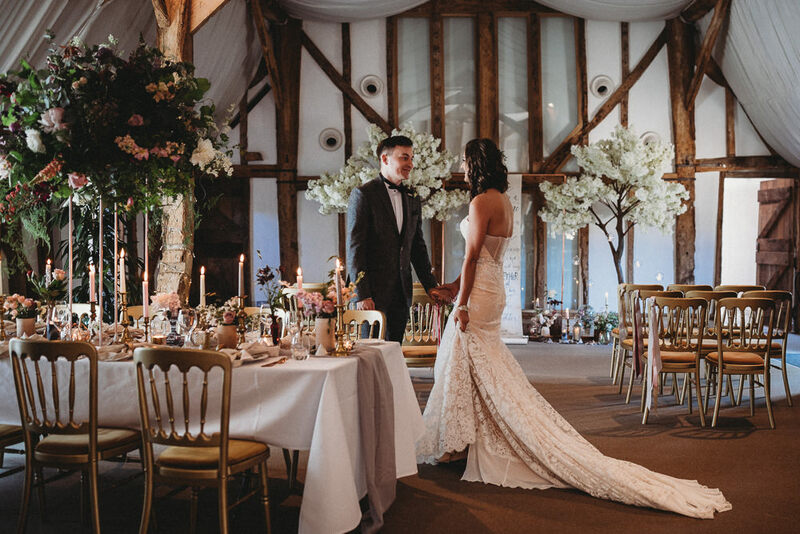 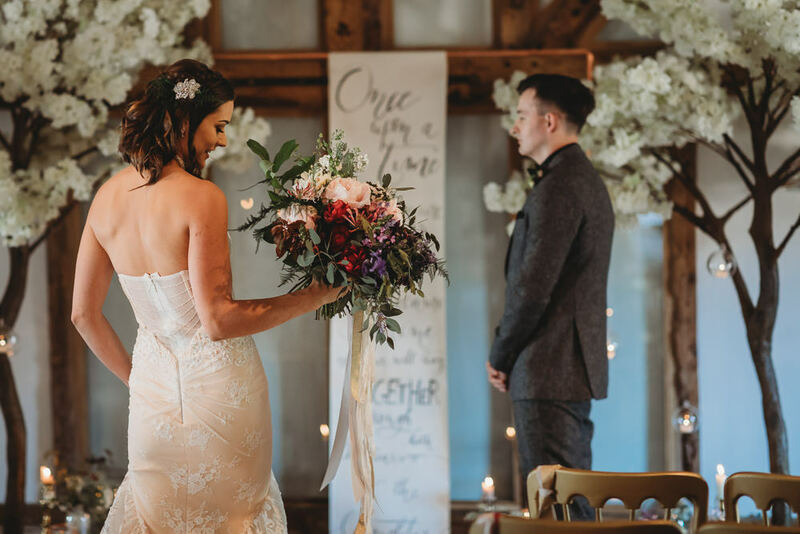 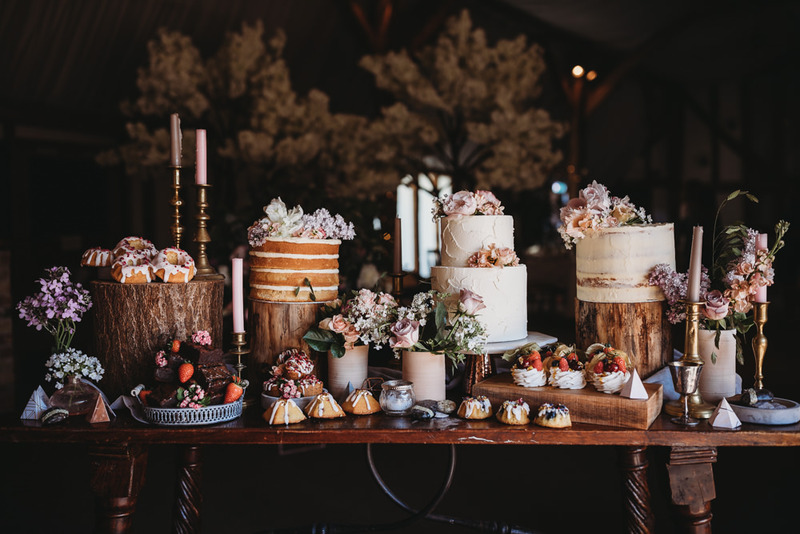 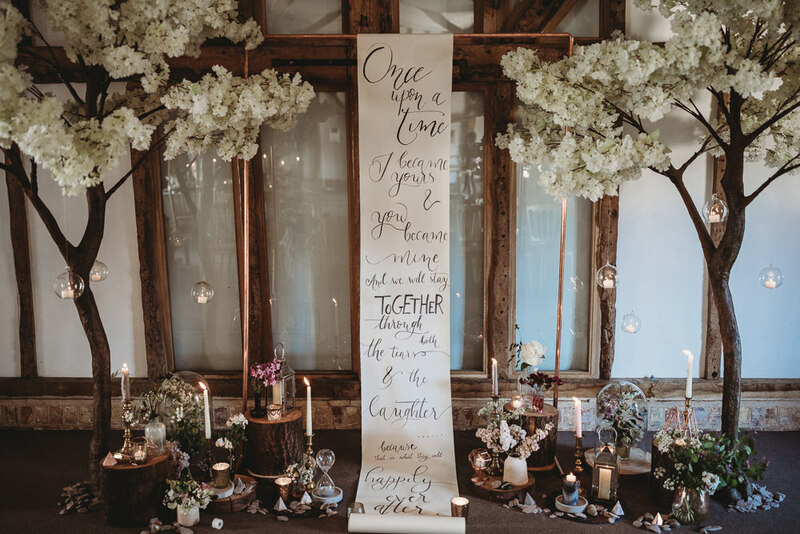 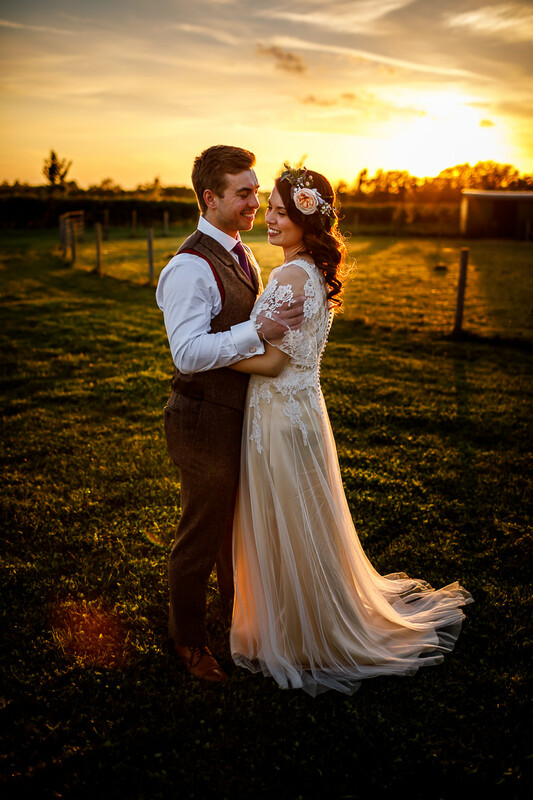 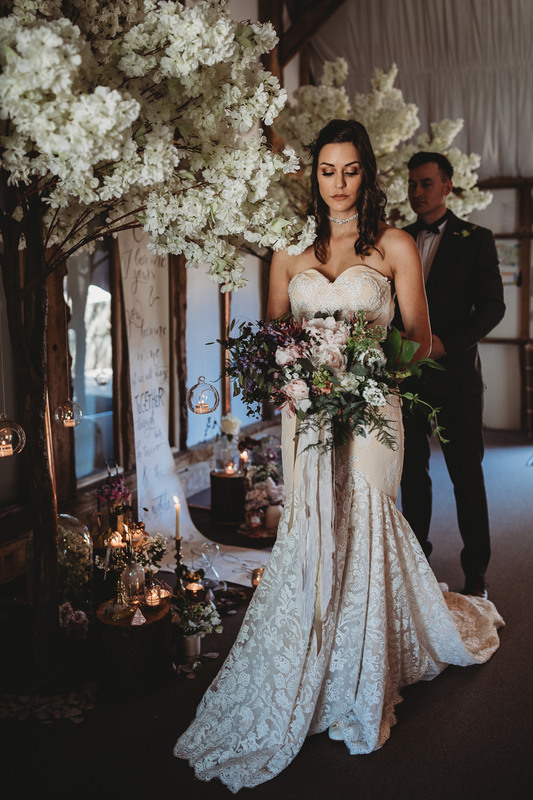 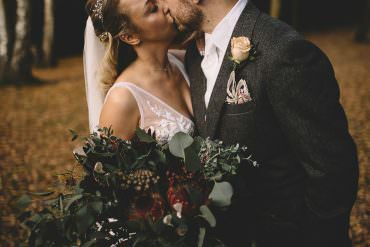 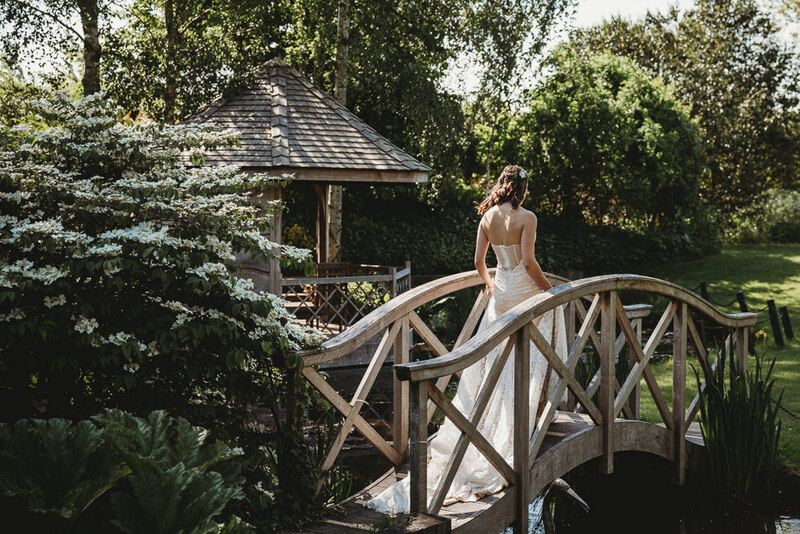 The setting was South Farm in Cambridgeshire and the beautiful barns were the perfect backdrop to the rustic Spring styling by WWW fave Fleur de Lace. 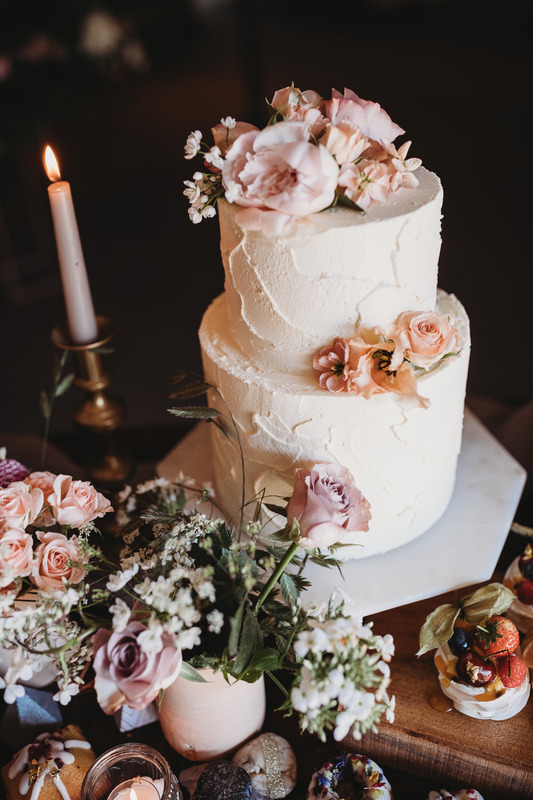 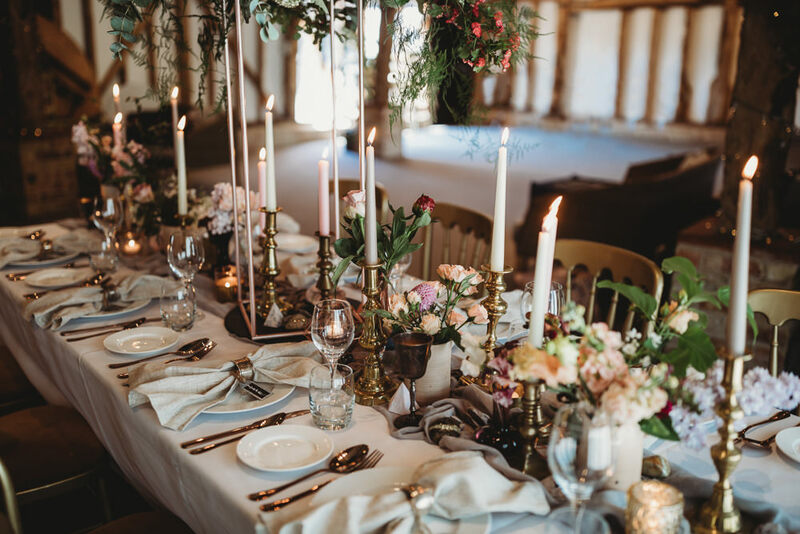 Think gorgeous pastel florals, a romantic scroll backdrop, candlelight, cherry blossom trees, a divine cake table and beautiful outfits. 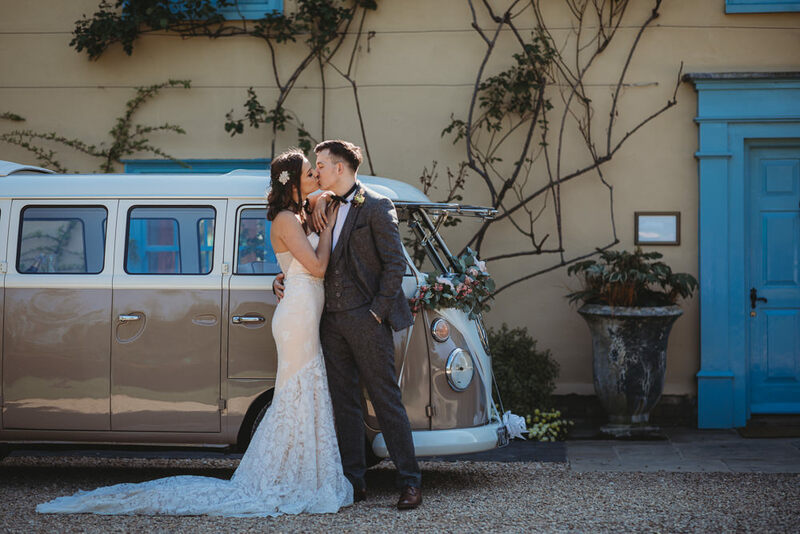 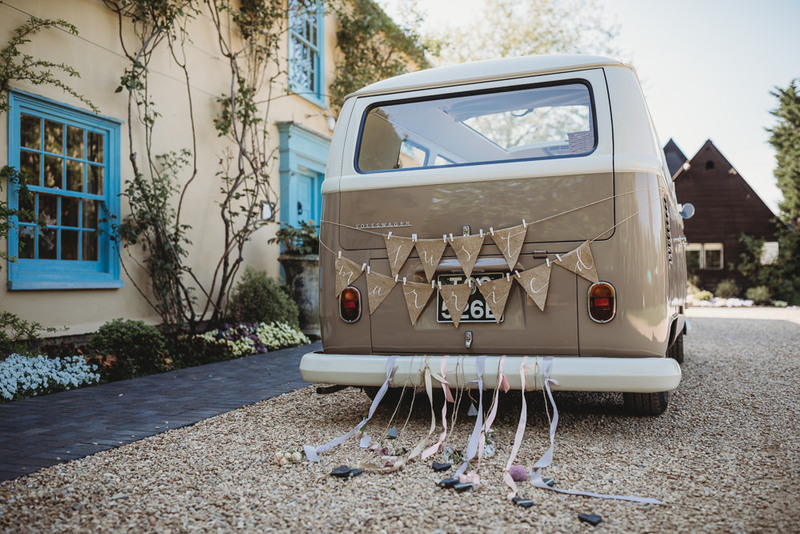 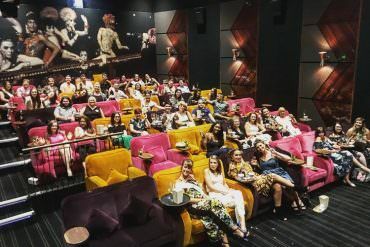 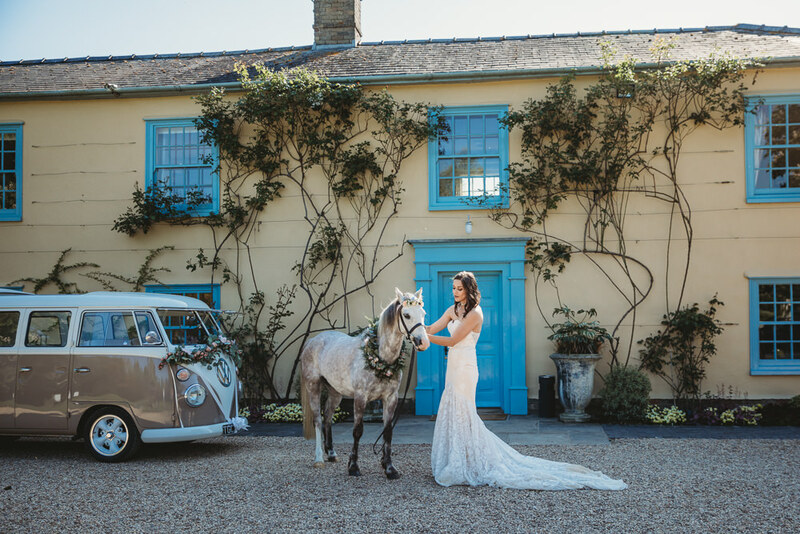 All captured so wonderfully by Thyme Lane Photography, be sure to keep your eyes peeled for quirky transport, a moon gate backdrop and even a unicorn, oh yes! 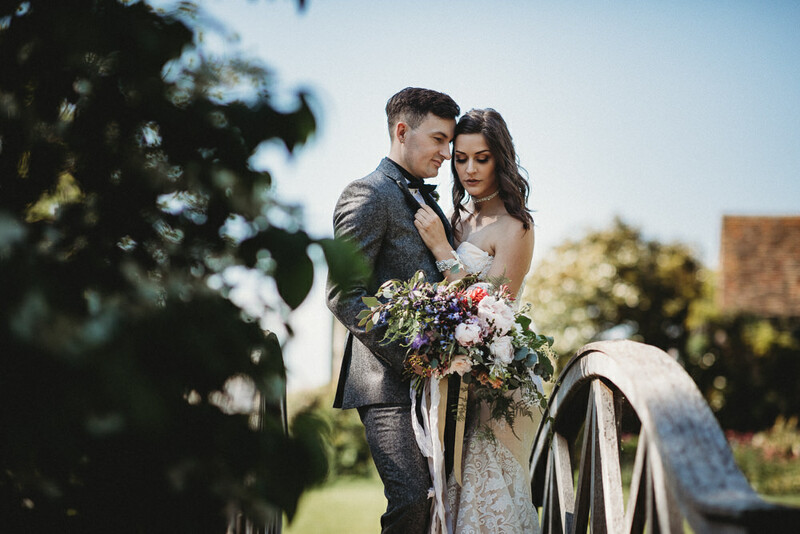 Once upon a time… I became yours and you became mine. 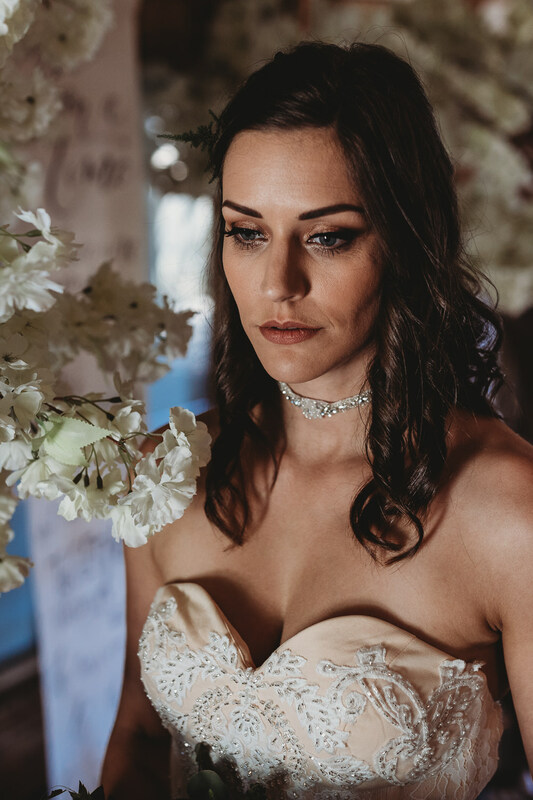 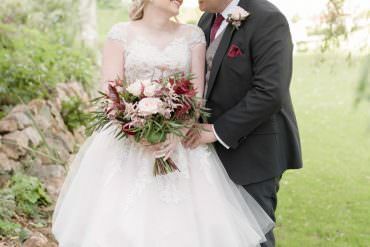 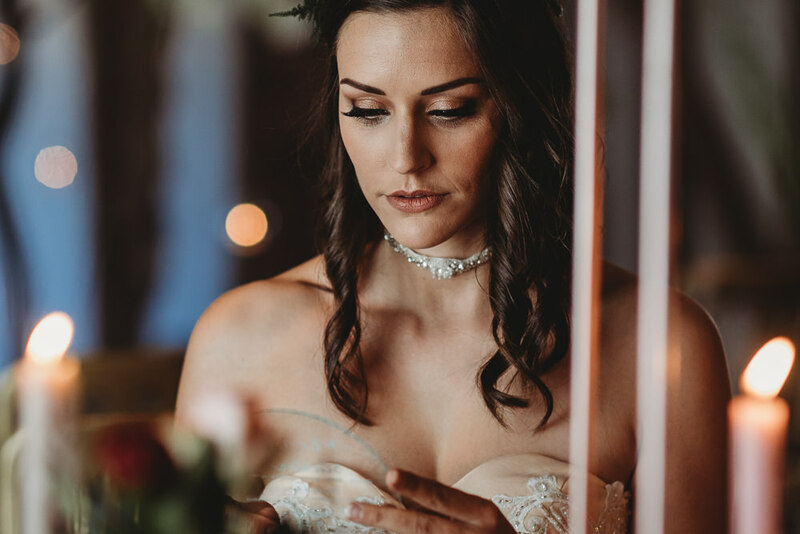 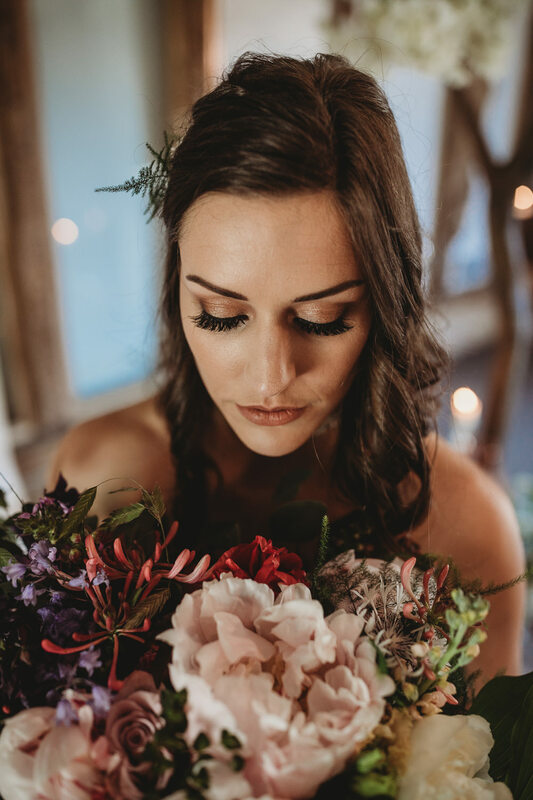 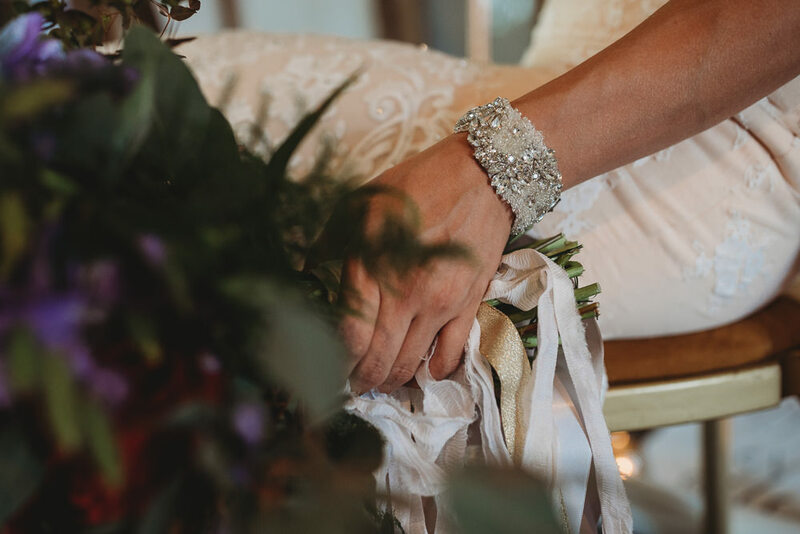 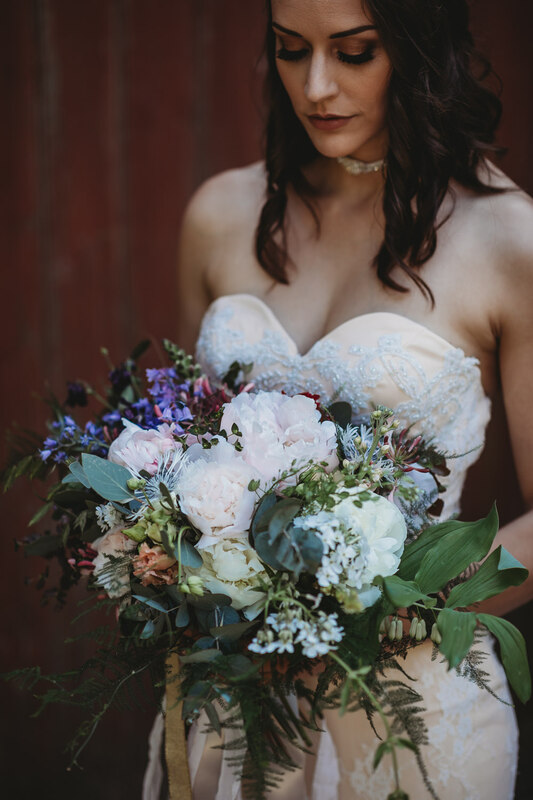 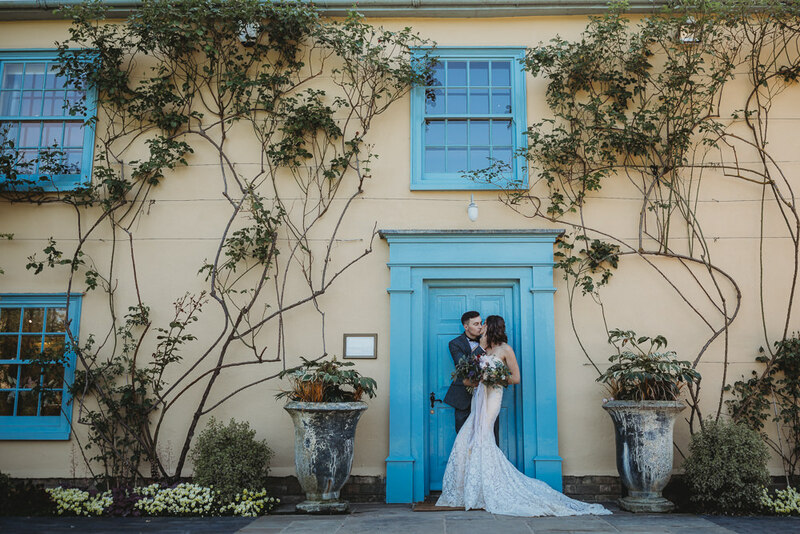 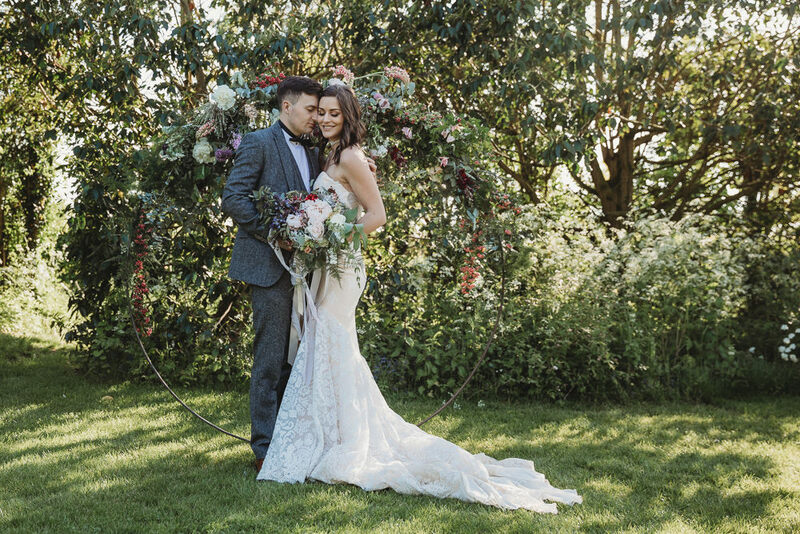 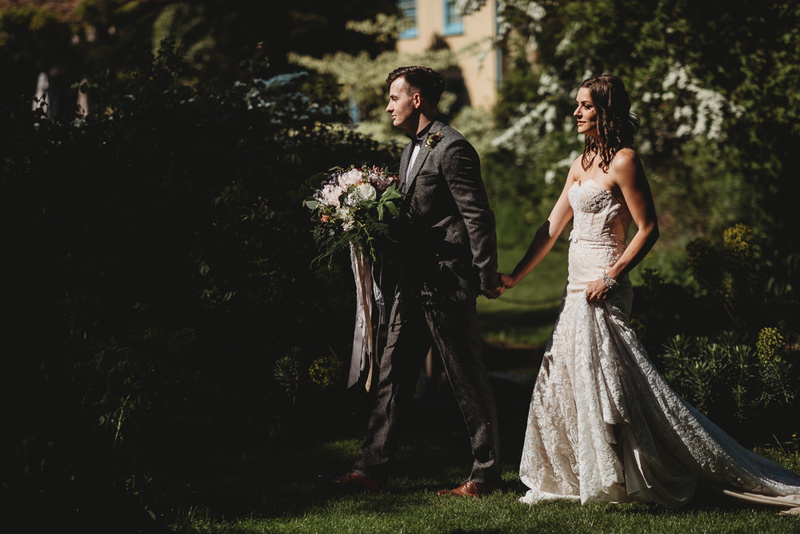 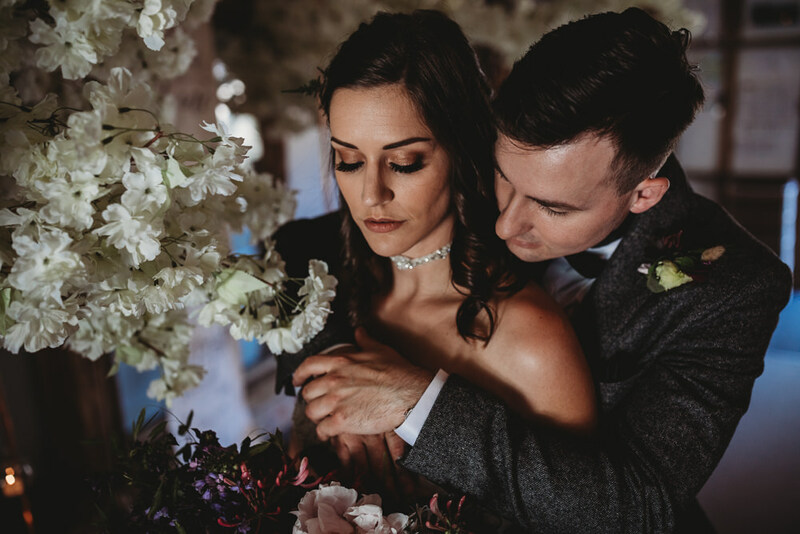 Lots of people want their wedding to be a magical day and this springtime fairytale shoot encompassed that enchantment with modern trends and a dress just like the one by Ashley Sims Bridal, which just looked perfect on our bride. 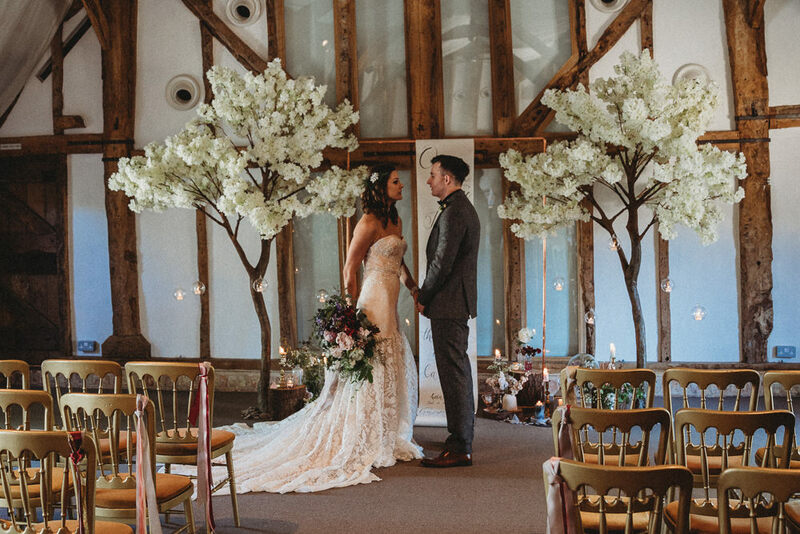 Florist Emily Tallulah’s blossom trees and florals formed an important part of the day, working harmoniously with Fleur de Lace’s Styling inside the venue. 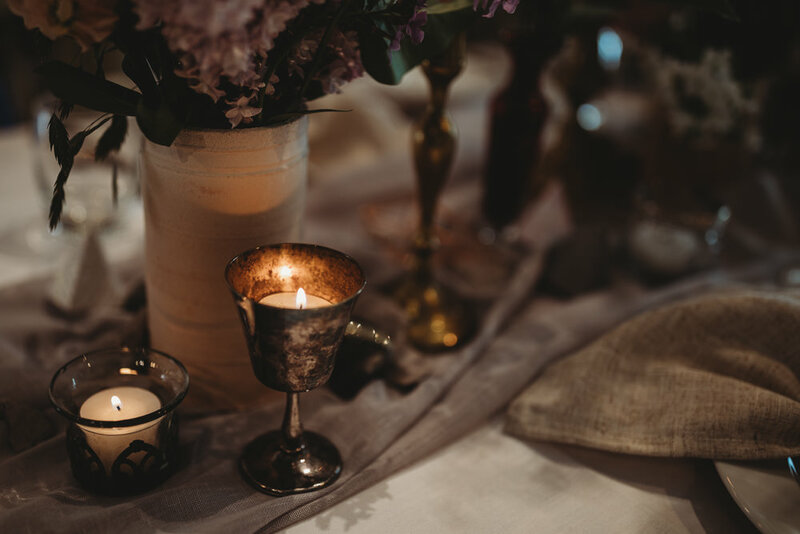 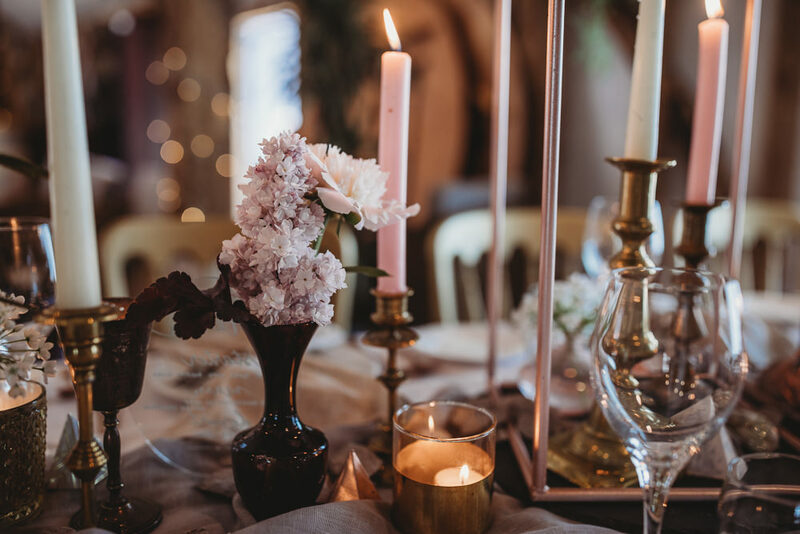 Little elements of paper craft and small detailing along with the delicacy of the flowers on the candlelit table just bundled the spring romance together. 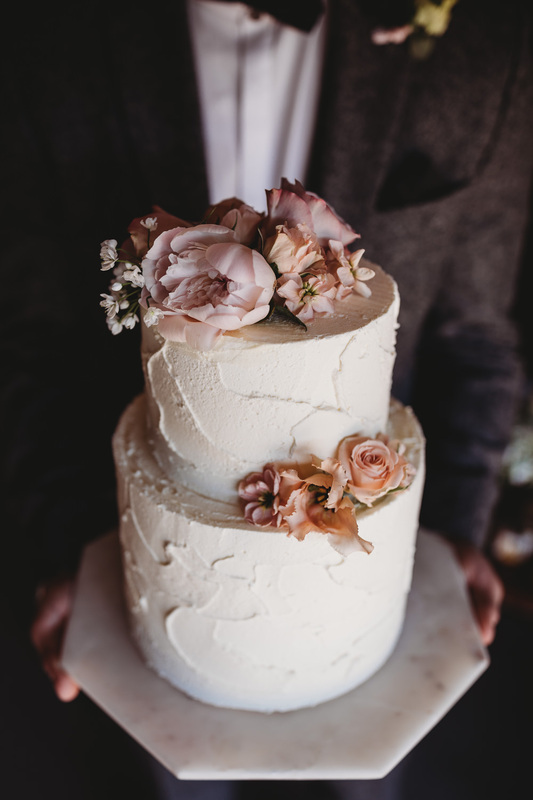 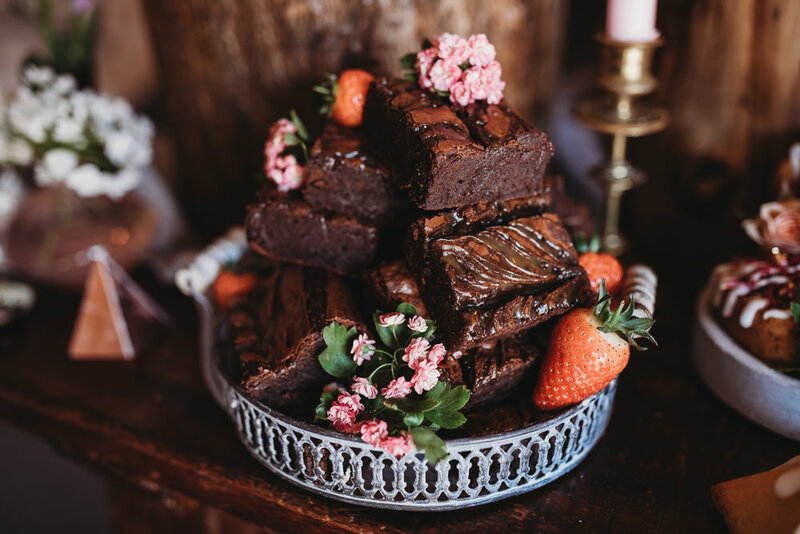 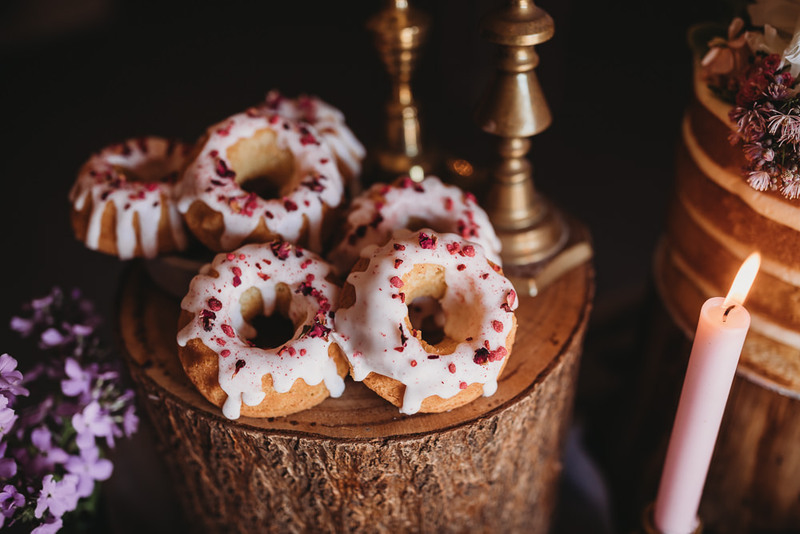 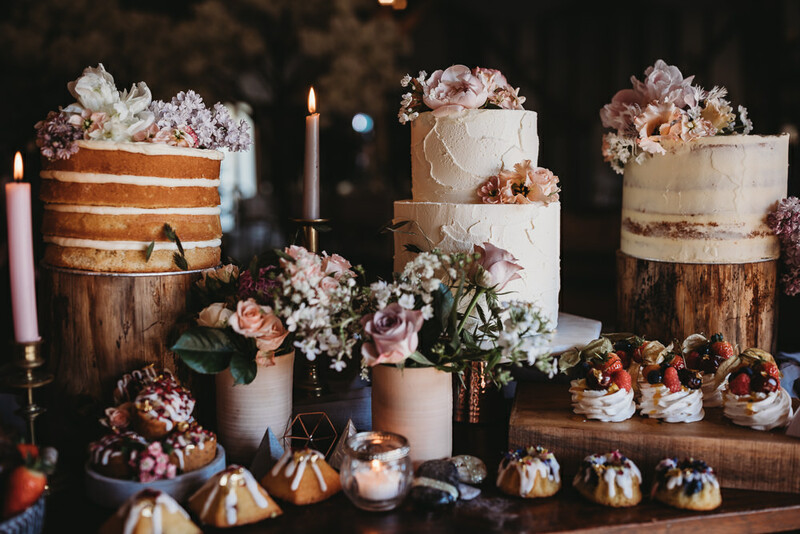 This flowed onto One Part Love’s cake table, which seriously makes your mouth water! 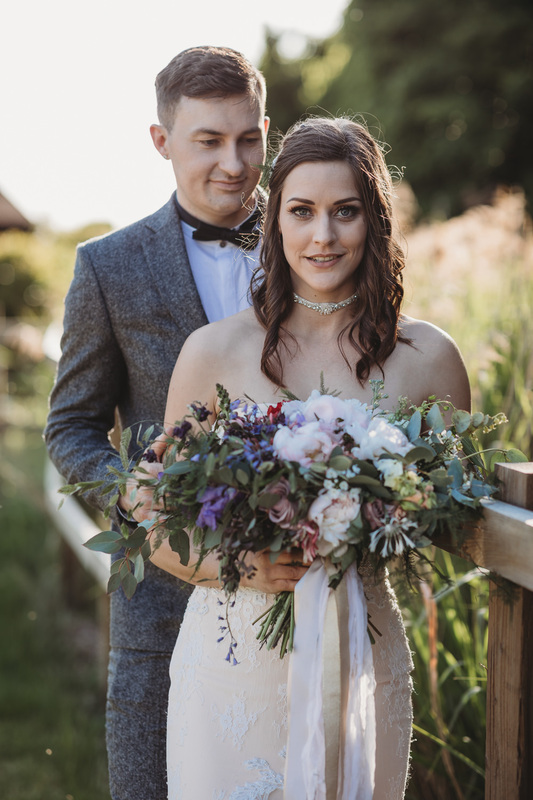 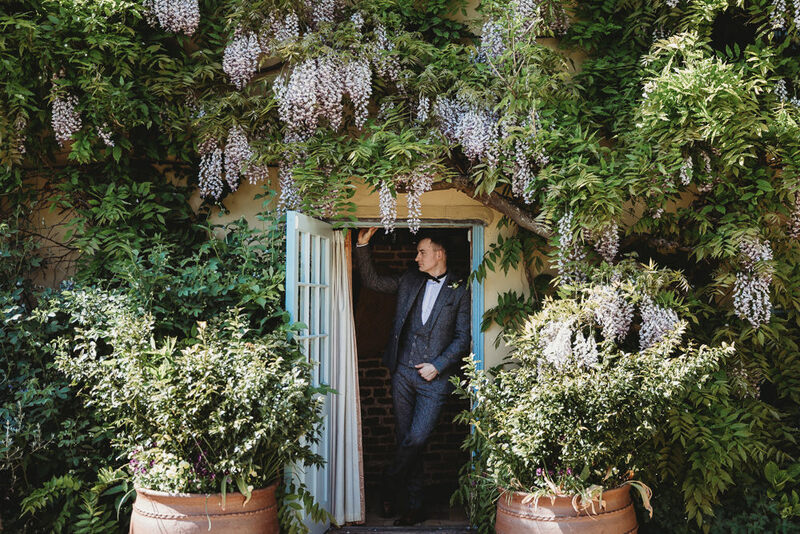 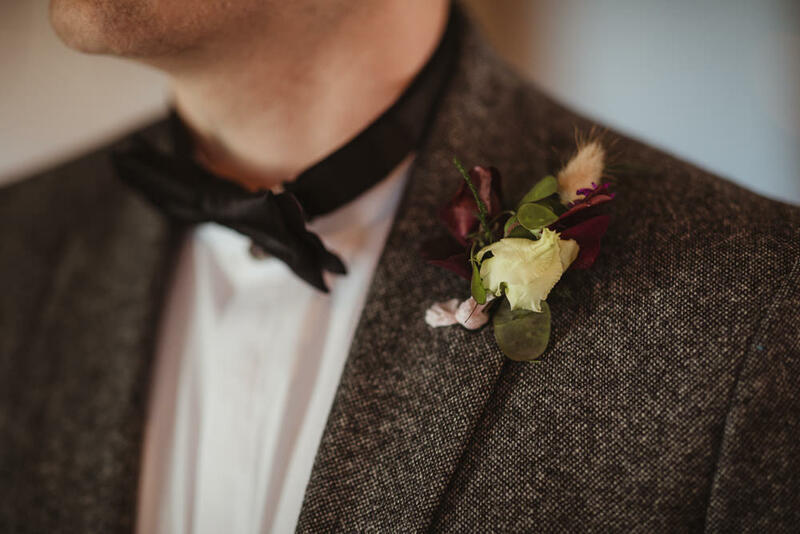 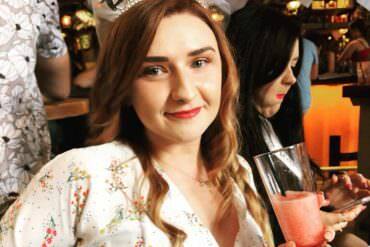 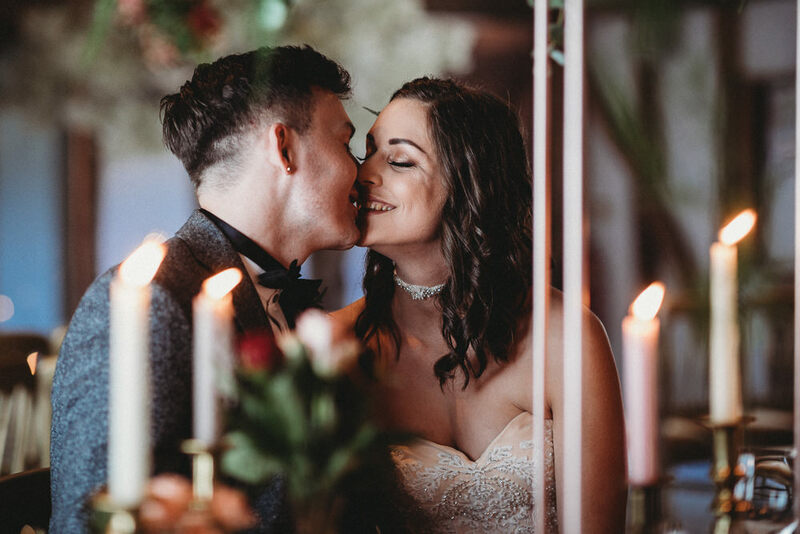 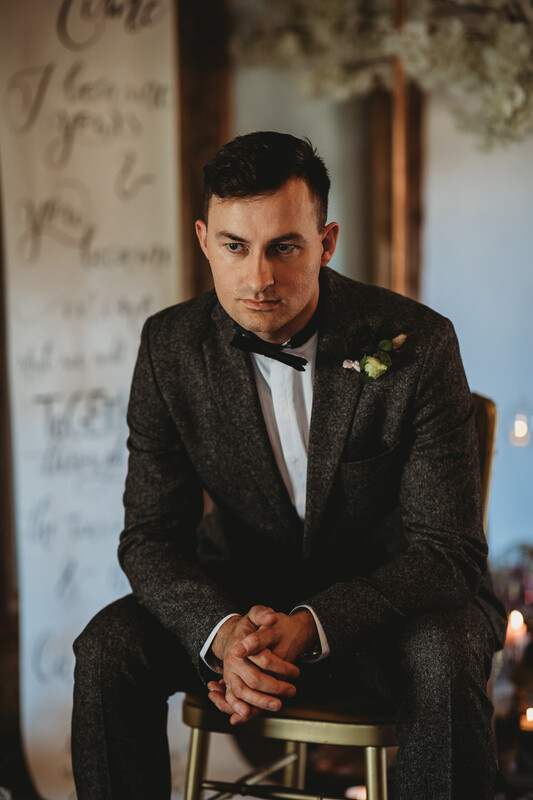 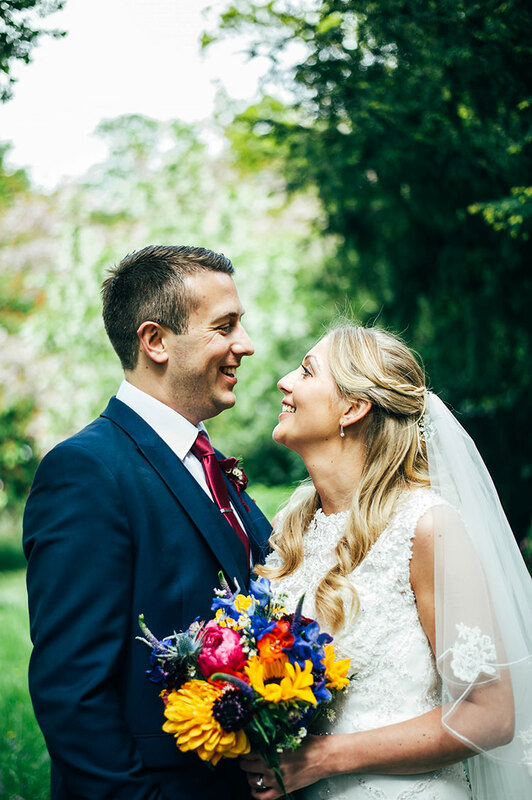 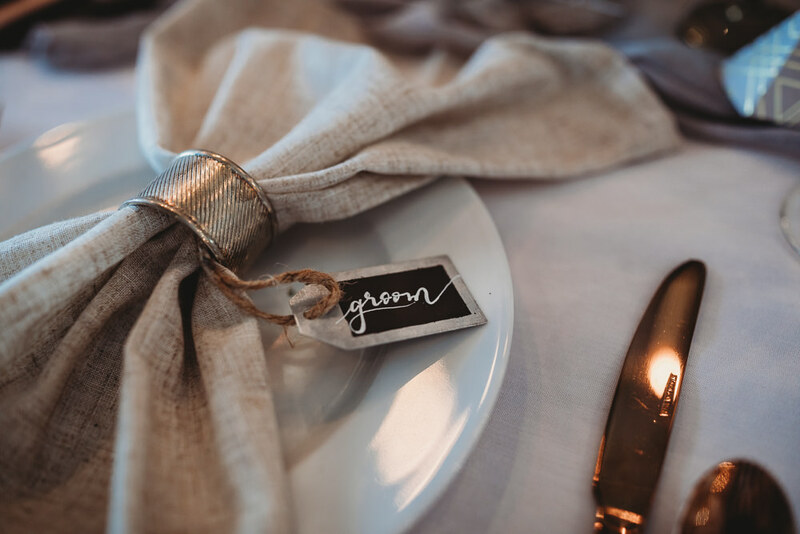 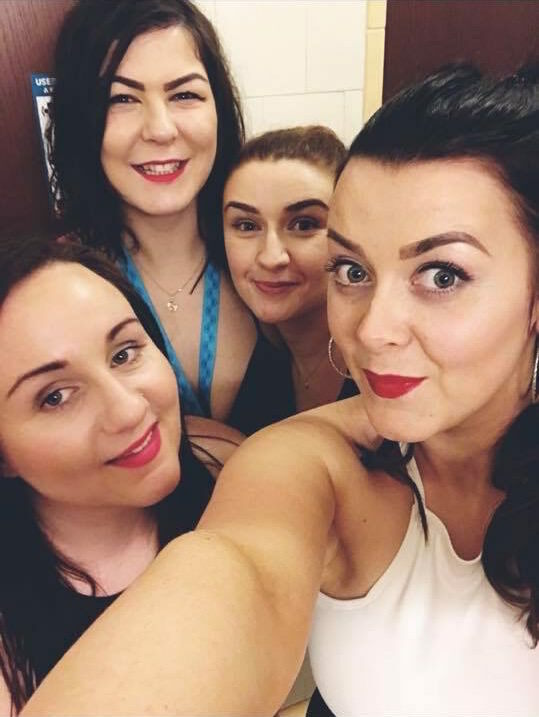 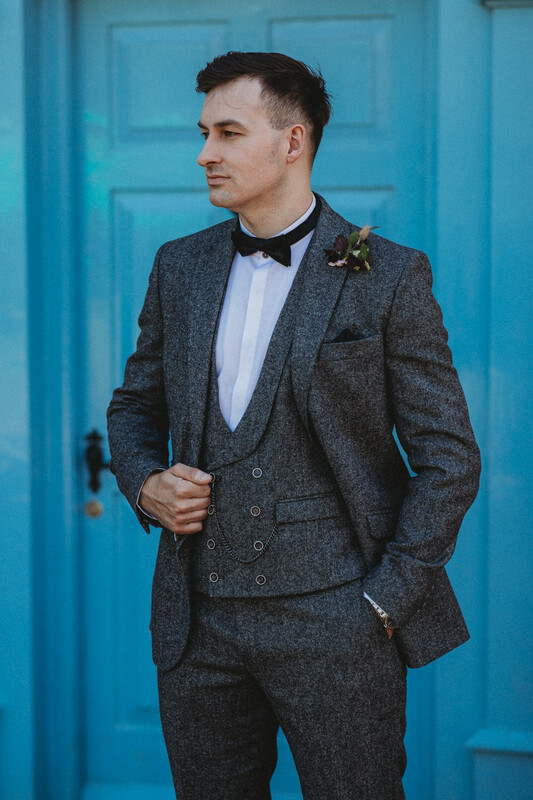 The hair and make up team of Sara and Charlotte, brought a natural and beautiful look to our bride and our groom looked super dapper in his grey collar-less shirted Duncan James of Walsall suit. 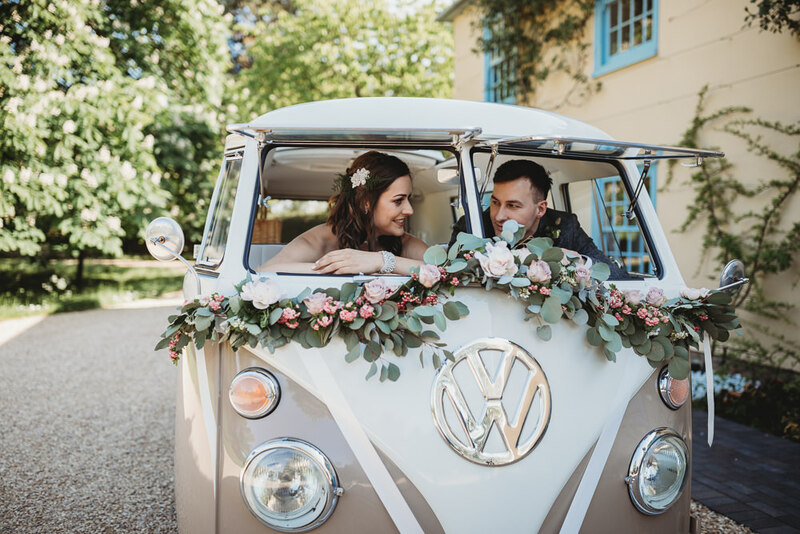 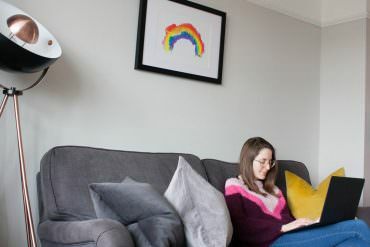 The unicorn (of course there’s a unicorn in a magical modern world) is just another element of fun along with the camper van from Silk And Satin Weddings, a great little escape vehicle for any couple! 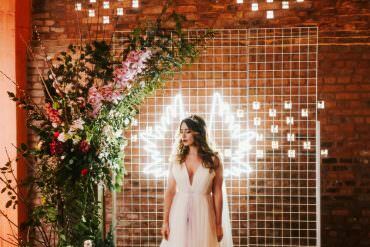 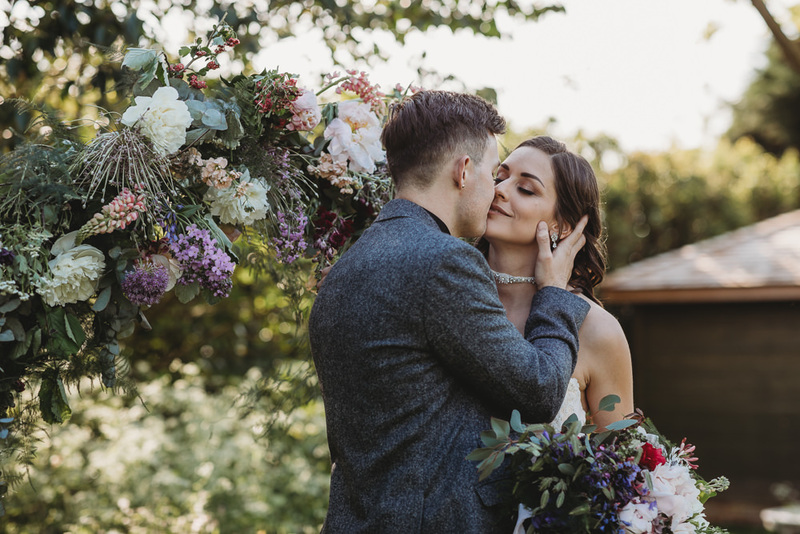 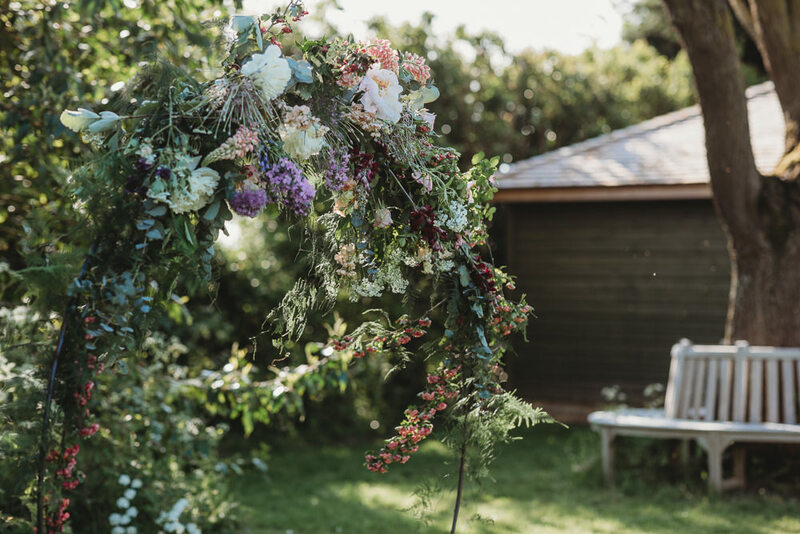 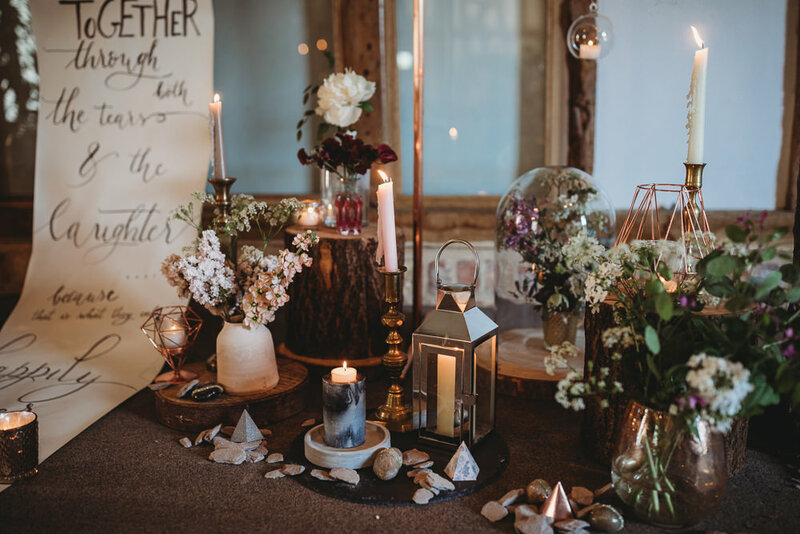 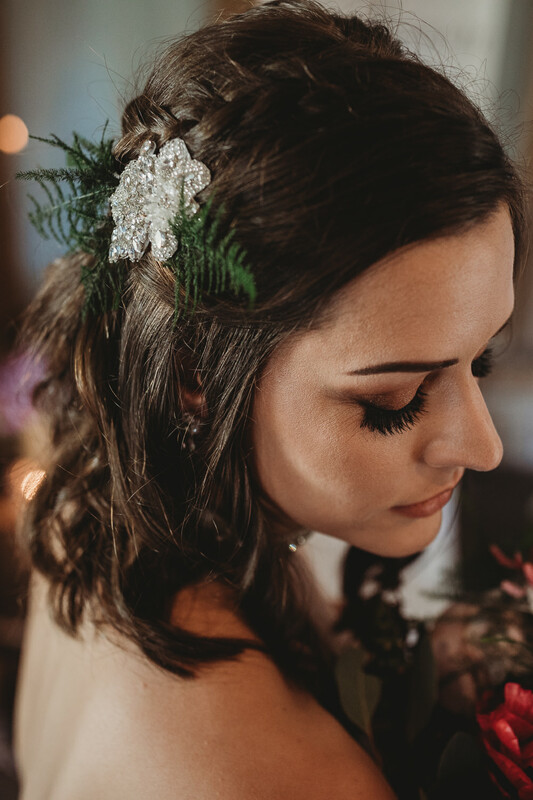 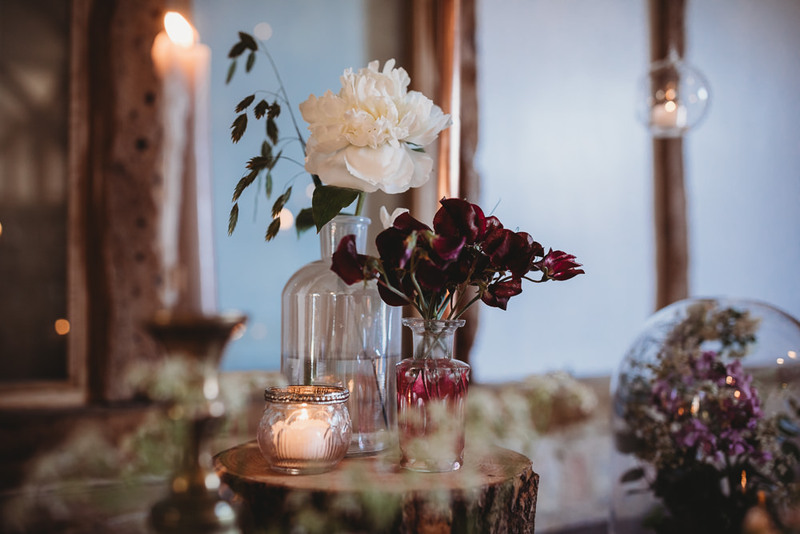 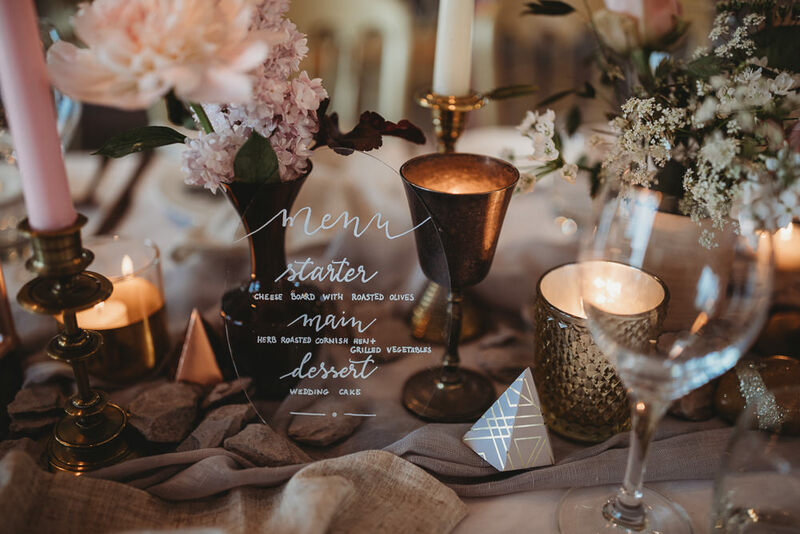 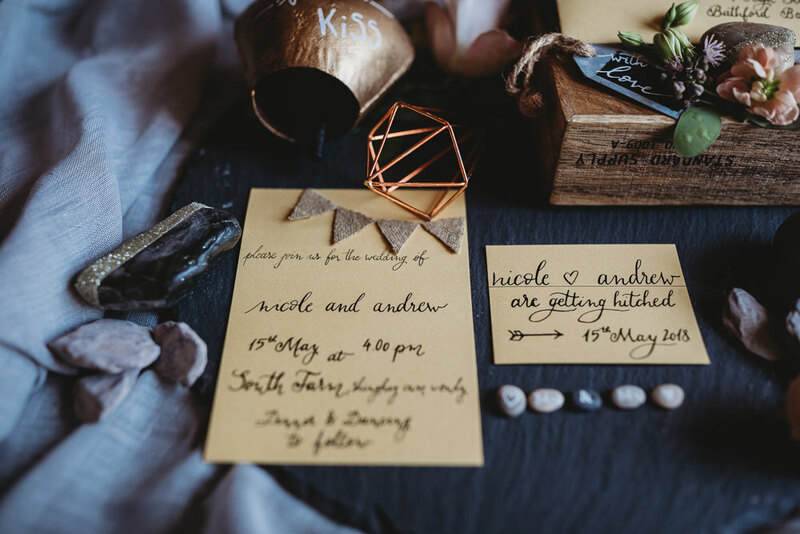 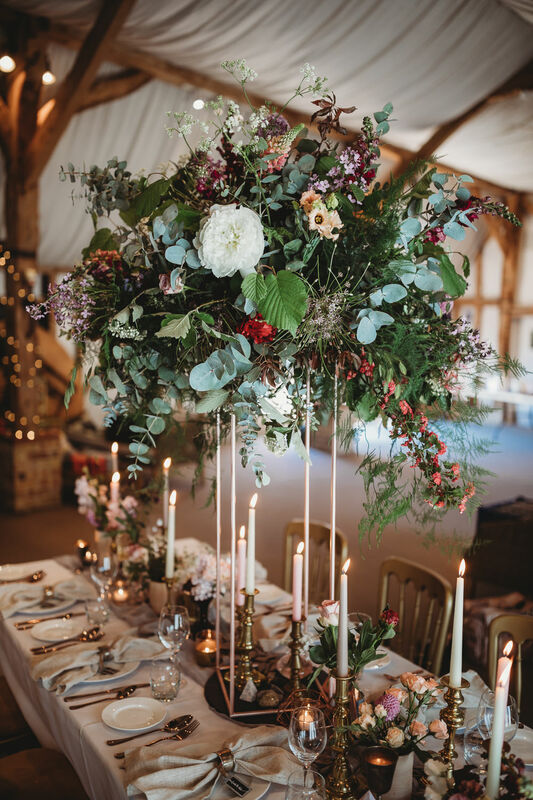 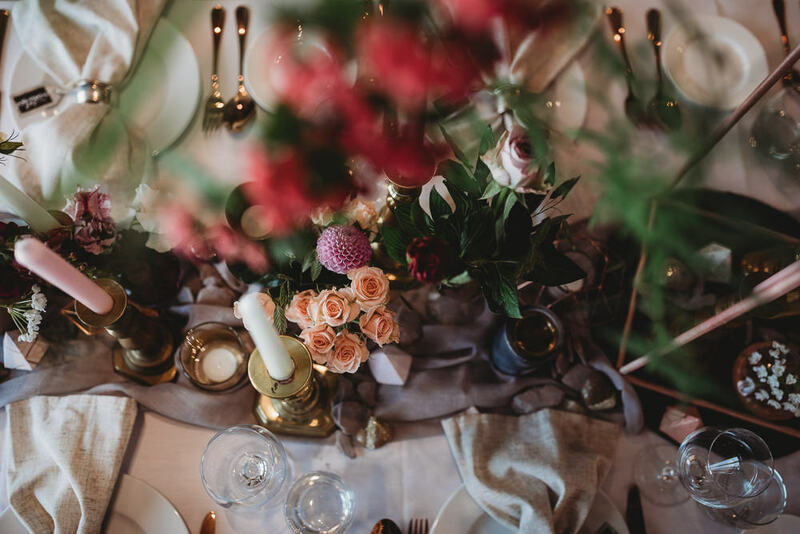 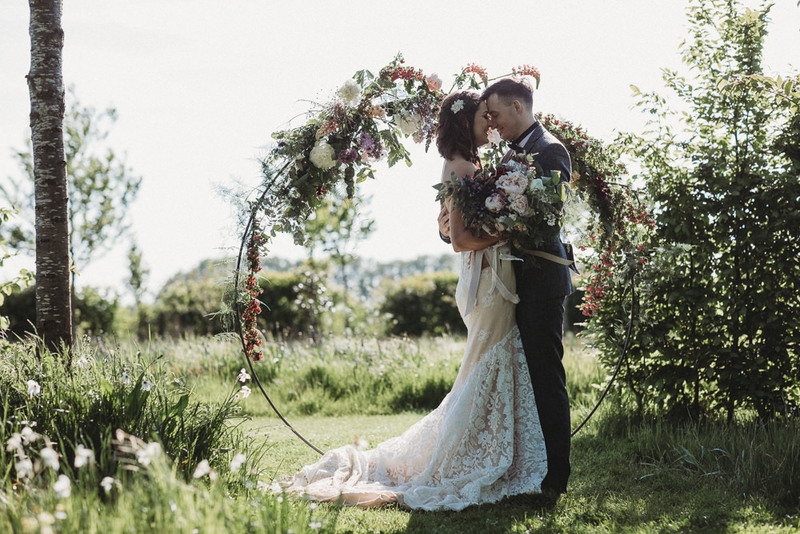 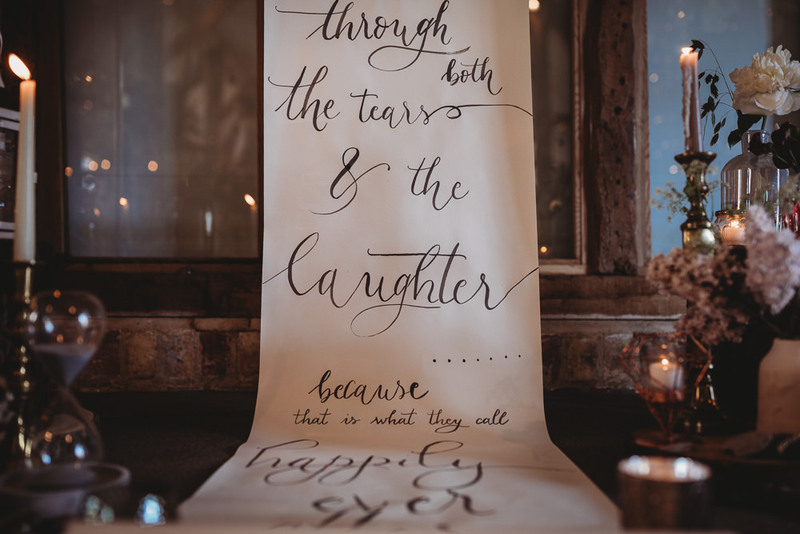 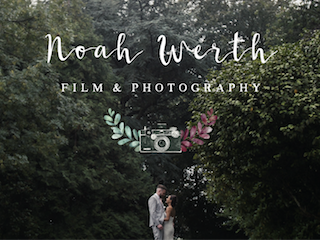 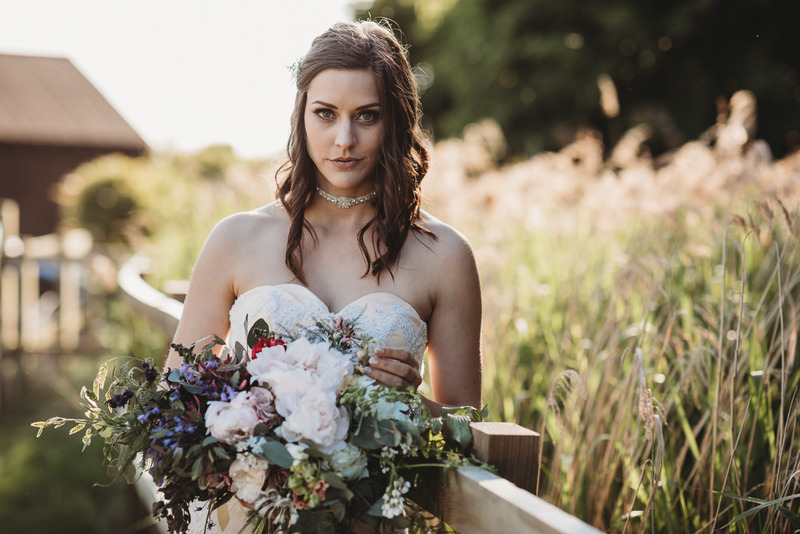 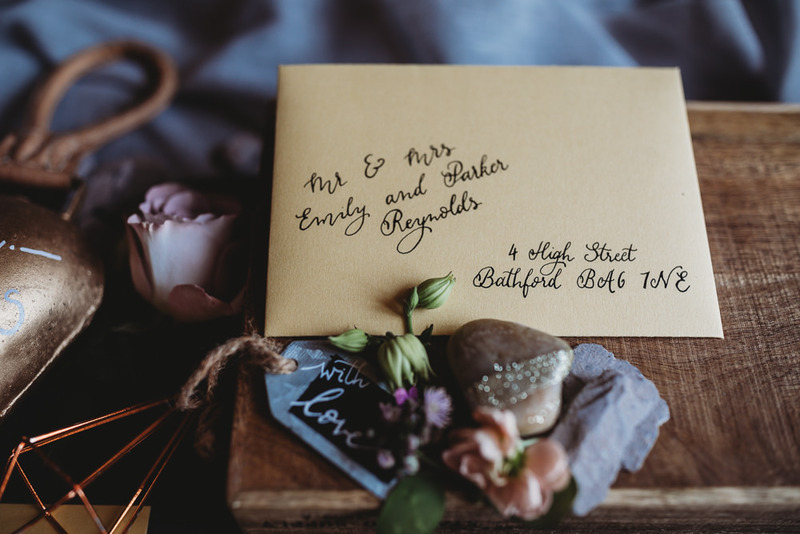 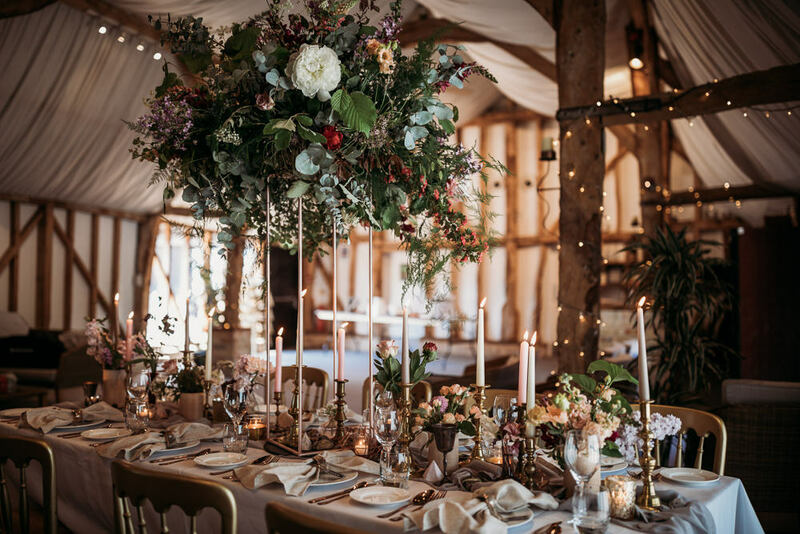 The canvas of South Farm, with its beautiful barn and the green gardens hosted an array of talented suppliers bringing ideas and inspiration to help create this enchanted look all captured through the lens of talented Noemi from Thyme Lane Photography.